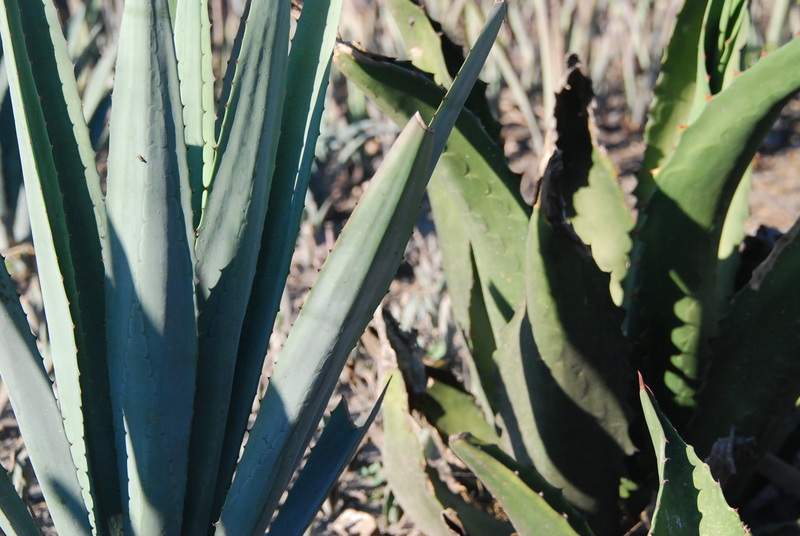 Santiago Matatlan is lined with neat rows of carefully tended agave. They stipple the hilly, fertile fields. 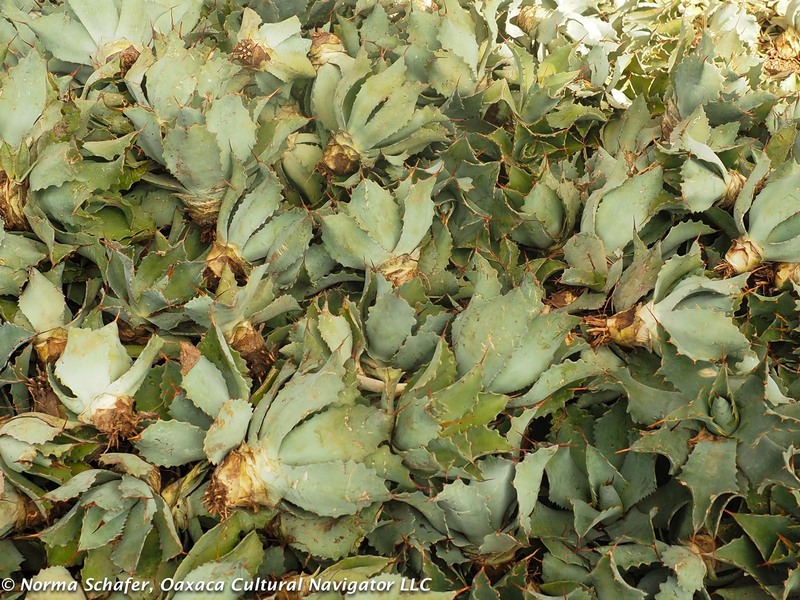 The climate is hot and dry, perfect for growing the succulent. 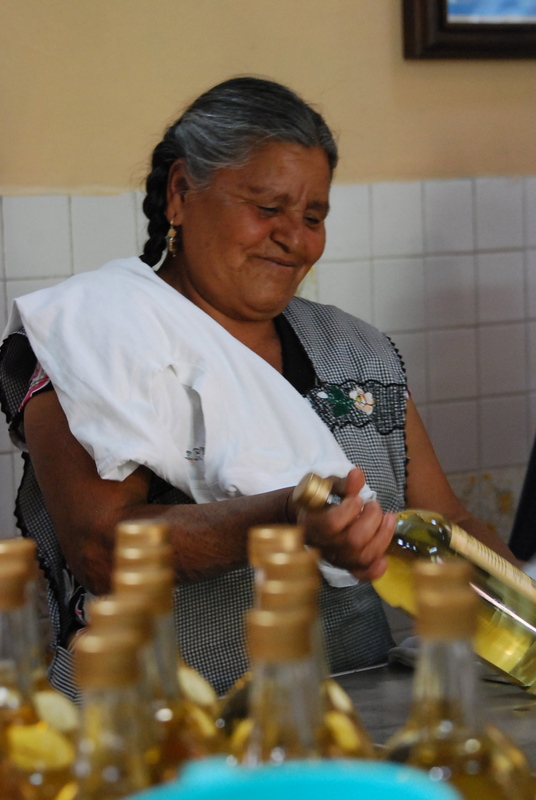 Small, artesanal distilleries process the piña (the pineapple or root) of the agave into this stunning liquor. 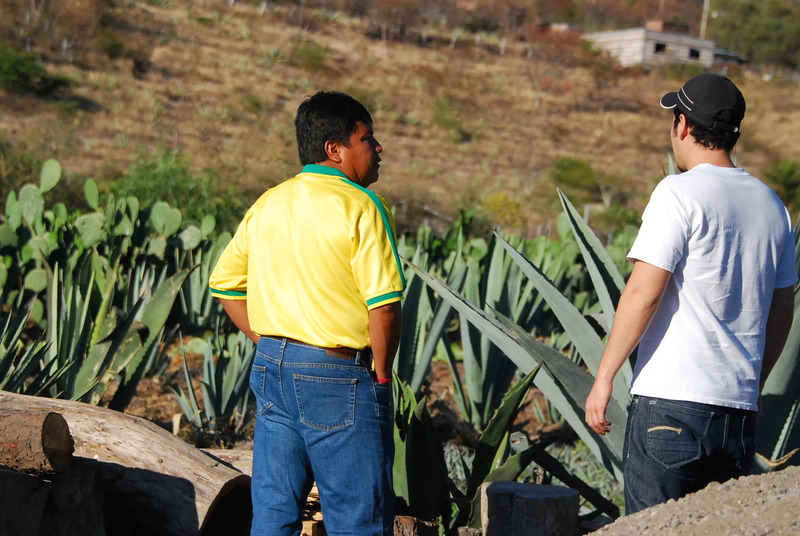 Here, Juan Carlos Mendez Zamora and his brother Raul Mendez Zamora (below, left) are continuing the family tradition of producing fine mezcal that began in 1795 in this small Oaxacan village. The El Cortijo brand captured my attention after my sister Barbara and I tasted their Pechuga de Pollo in Puebla last week. It was so good! And, Matatlan is so close to where I live (about 20 minutes south of Teotitlan del Valle on the Pan-American Highway), that I asked my friend Pedro Montaño Lorenzo if he wanted to go with me in search of where it was made. Juan Carlos (above, center) welcomed us into his grandparents’ hacienda and introduced us to the staff of three people who were busy wiping and packing the precious mezcal-filled bottles. He explained that there were no distinctive labels or brands when his grandparents created the El Cortijo label in 1951. 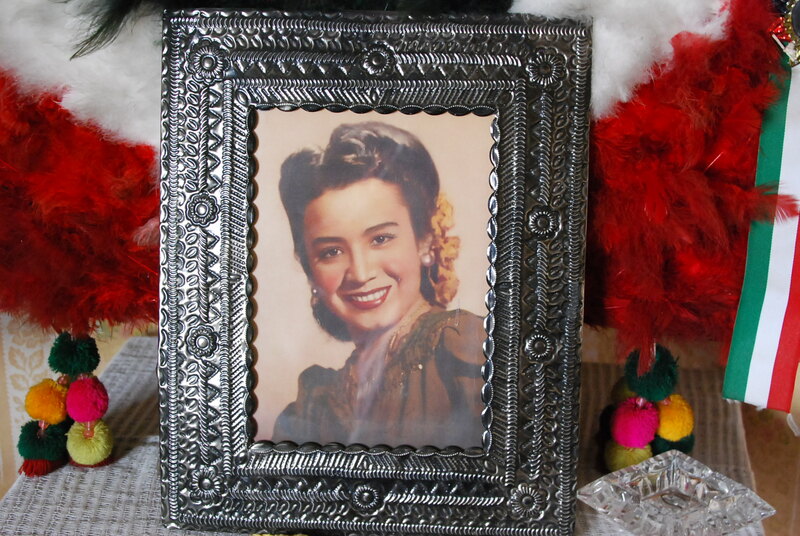 His grandmother, originally from Guadalajara, hand-painted the first ones herself and he showed us a bottle with the original label. Then, he pulled out another one from the 1970’s with a Dance of the Feathers label, also hand-painted. Both are works of art and this tradition continues today. 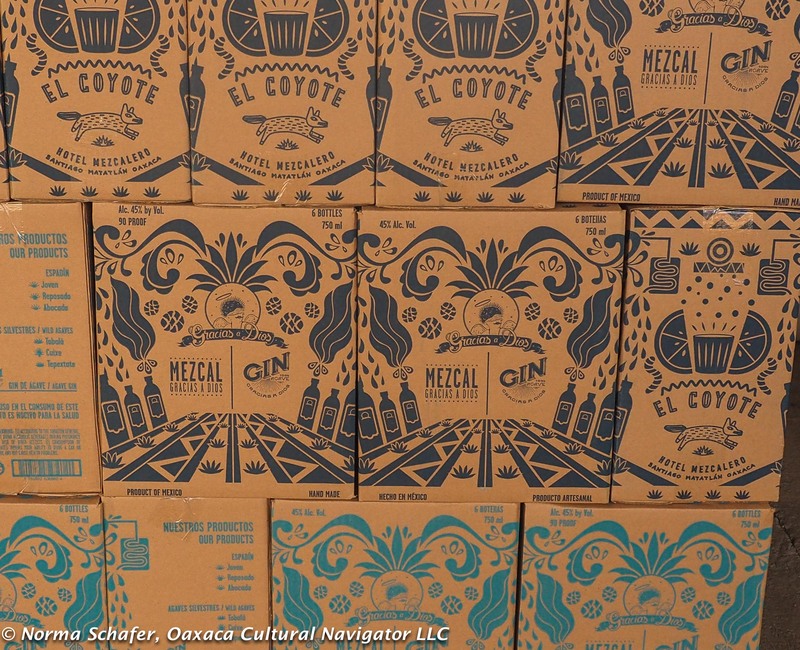 The family works with local artists, including Amador Montes, to create the labels for their three types of mezcal: Joven–44% alcohol (young), Añejo–40% alcohol (aged), and Pechuga de Pollo–49% alcohol (distilled with five fruits and the scent of chicken breast). This is a small production, artesenal operation. Only about 1,000 bottles of the Joven are produced each year, and about 300 bottles each of Añejo and Pechuga de Pollo are produced each year. 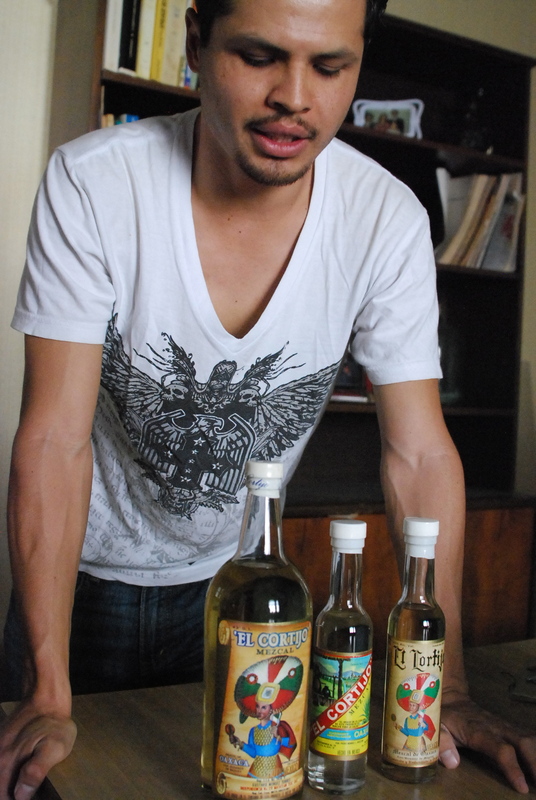 Making mezcal is an ancient, handmade process, brother Raul explains. 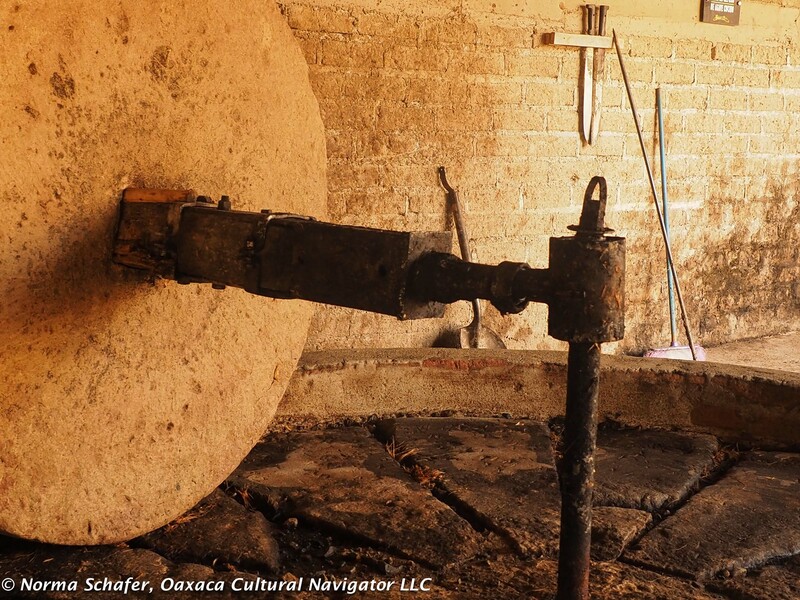 A mezcal palenque will produce about 5,000 liters of liquid a month whereas a tequila factory will produce about 60,000 liters a month. 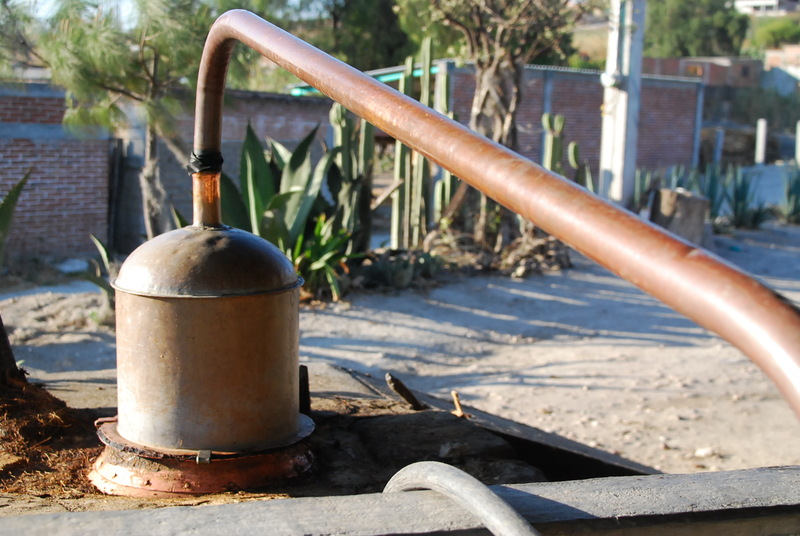 Many consider tequila making to be more industrial. 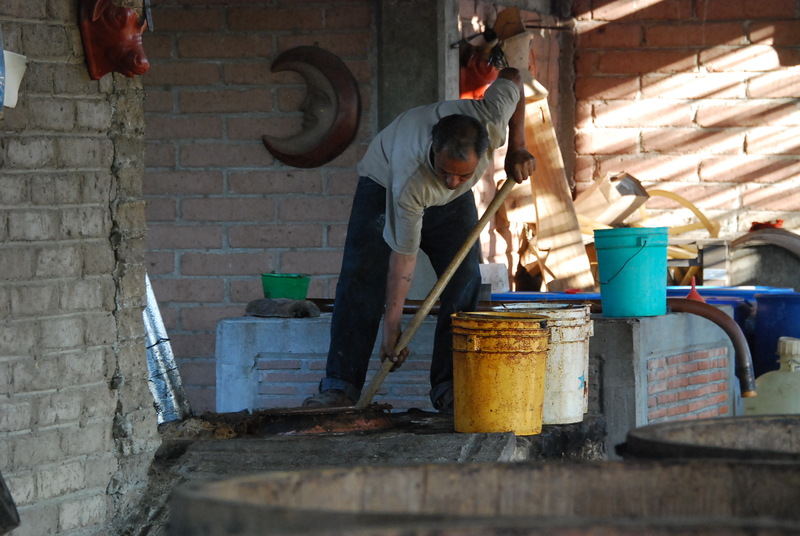 It takes a minimum of 33 days for the mezcal making process to be completed and 20 days for tequila. 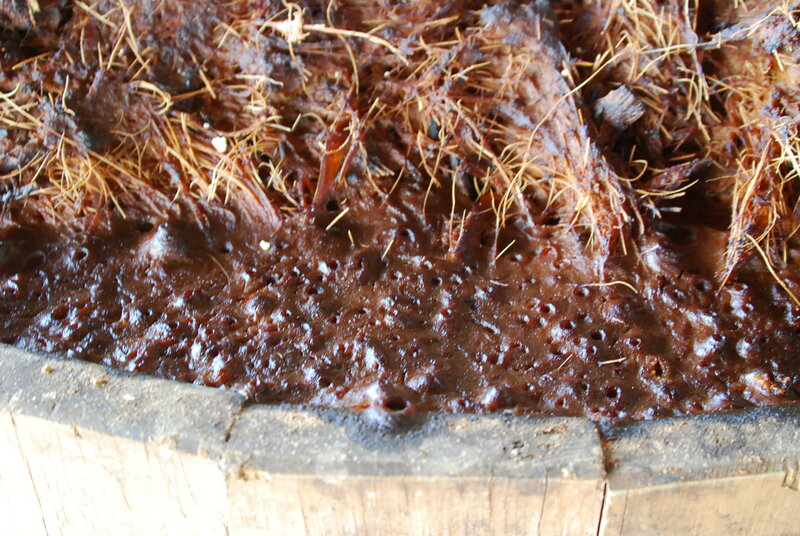 It can take two or three years or more for an Añejo mezcal to age in the barrel. 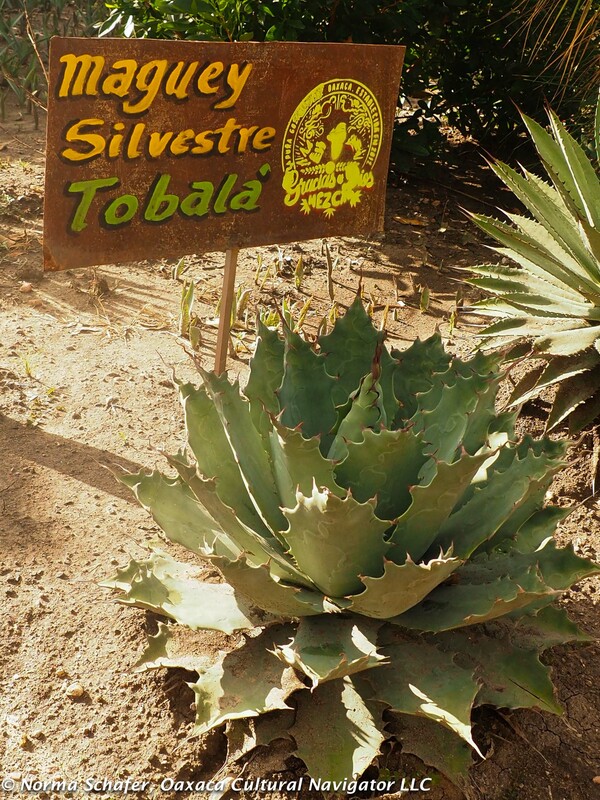 An agave plant must mature for 10-12 years to produce a sweet piña good enough for a fine mezcal. 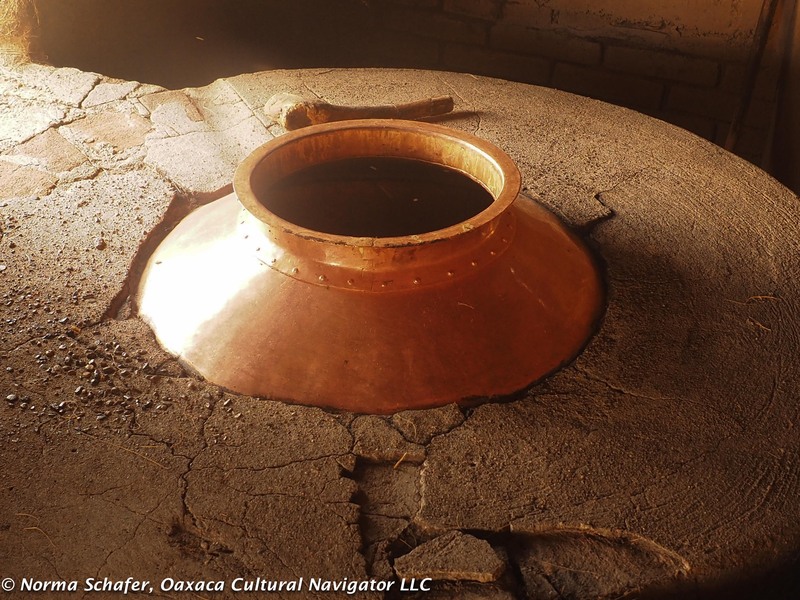 After the agave piña is harvested, it is put into a fire pit filled with hot volcanic rock and then covered with earth where it cooks for four to five days. 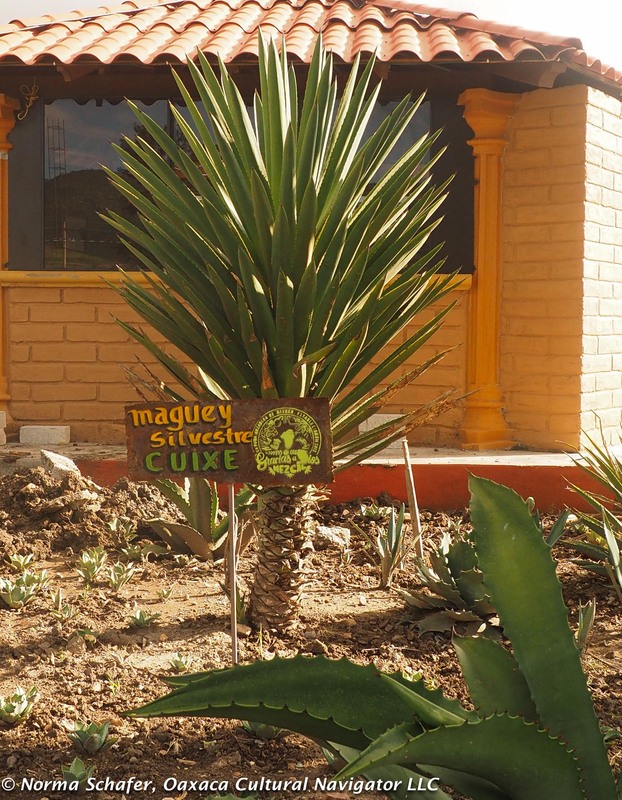 The volcanic rock absorbs a lot of heat which oxidizes the rock to cook the maguey. 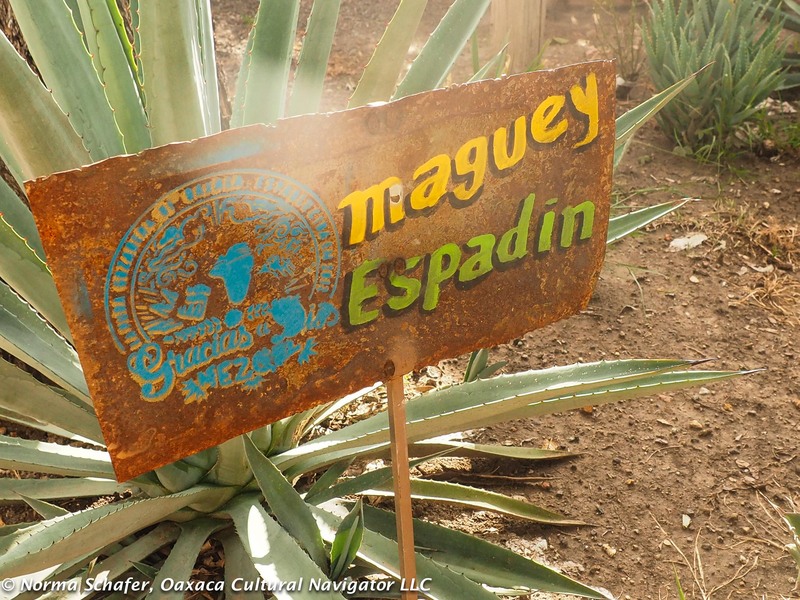 Only maguey espina is used for Matatlan mezcal. 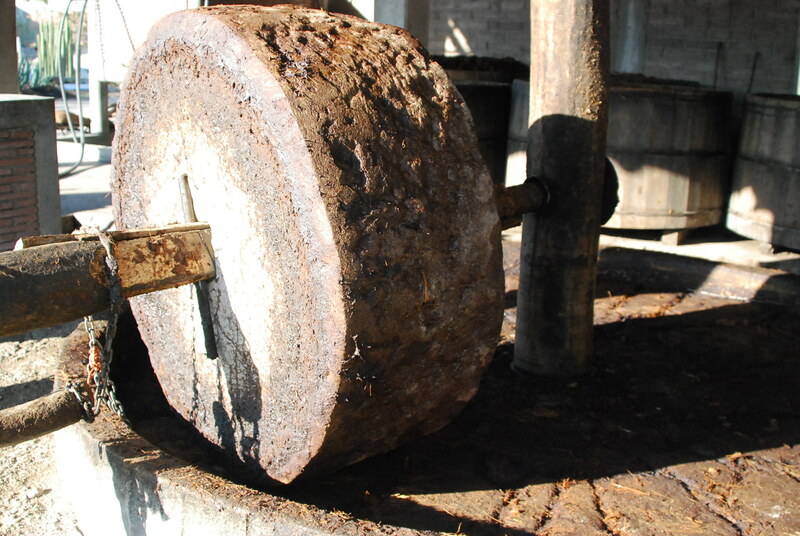 After the cooking process, the piña goes to the molino. A huge cantera stone is pulled by horse to mash the cooked plant. Then, it goes into wood barrels to soak in well water until it becomes very sweet and the color of caramel, about 10 or 12 days. After six days, it gets visibly bubbly and starts to look like yeast. 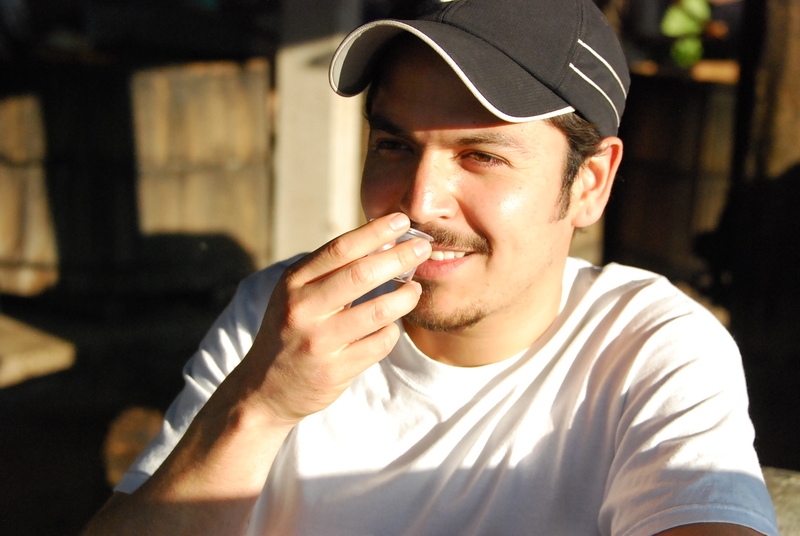 The smell and aroma is important in the process. After the fermentation, it goes into a wood fired copper pot called an olla. 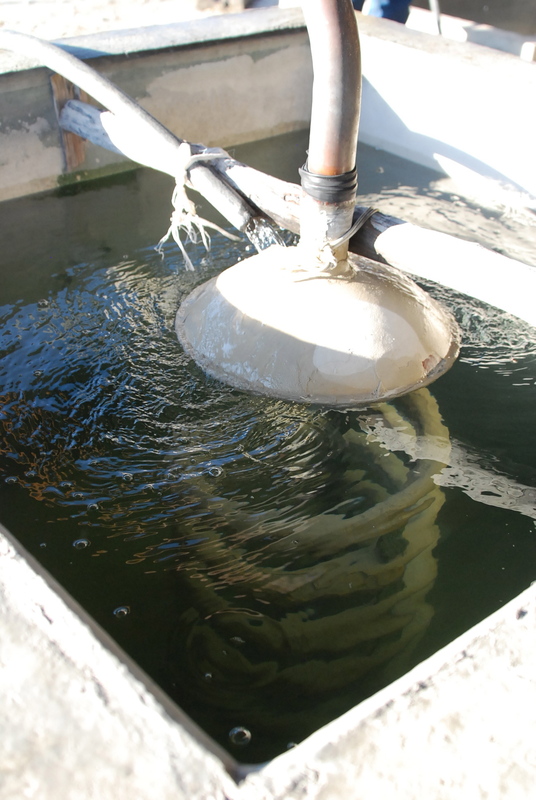 During the final part of the process, the liquid from the olla drips out and then is put into the still that further cooks down the liquid and then cools it through a serpentine that is immersed in water. 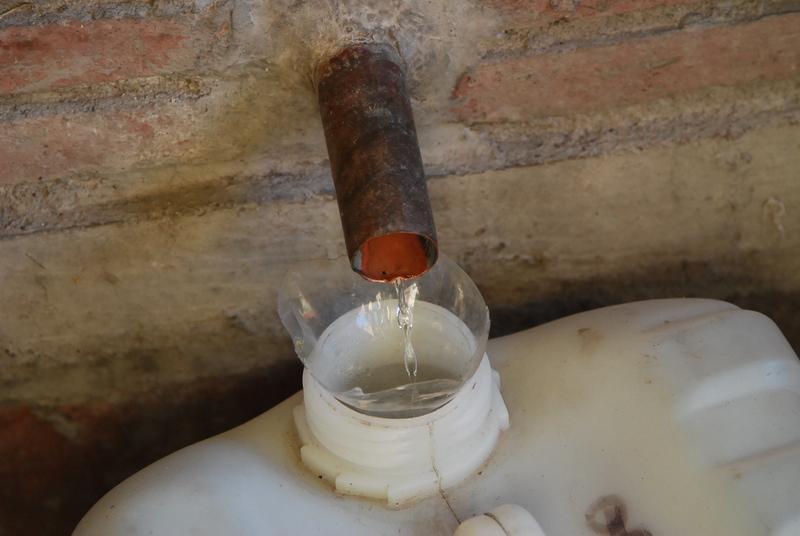 The smell of the wood fire, chewing the sweet, just cooked maguey, the sound of the dripping water into the vat where the liquid is cooled, the taste of the raw, strong liquid as it comes through the pipe was a memorable experience. 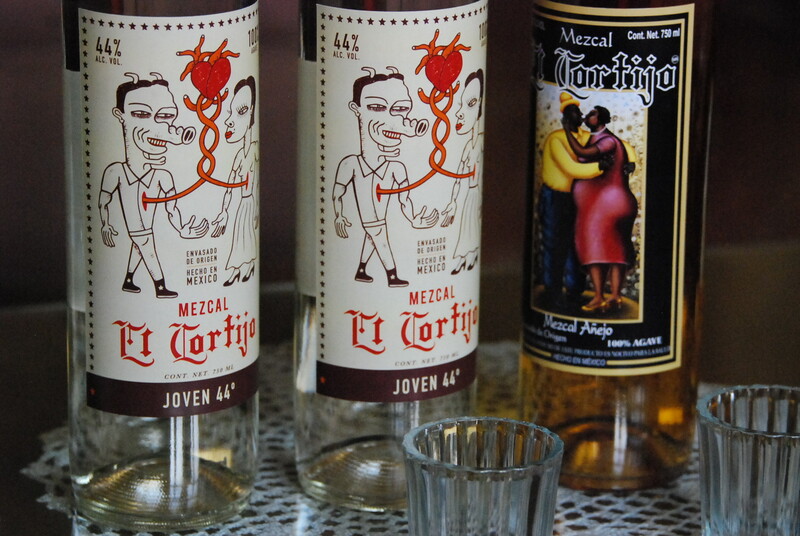 Alcohol content of mezcal that is certified for sale can vary from 35 to 55%. 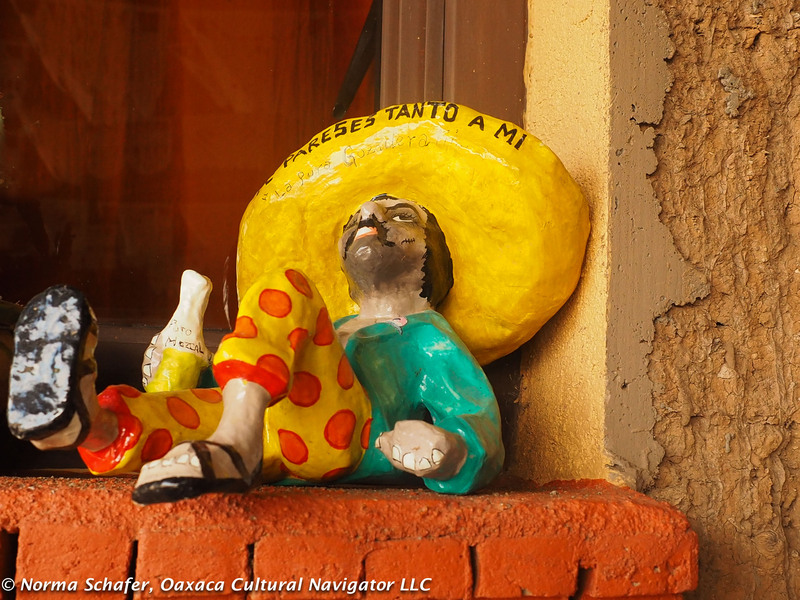 Home-brewed Oaxaca mezcal in Oaxaca will often have 75% alcohol content, and is illegal to sell. 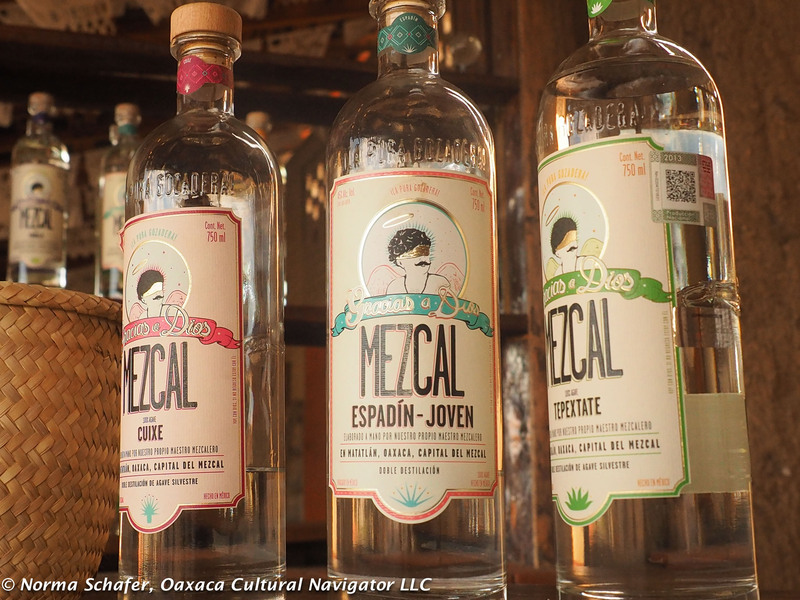 Because mezcal is part of the ritual life of Oaxaca villages, it is widely available locally for personal use. 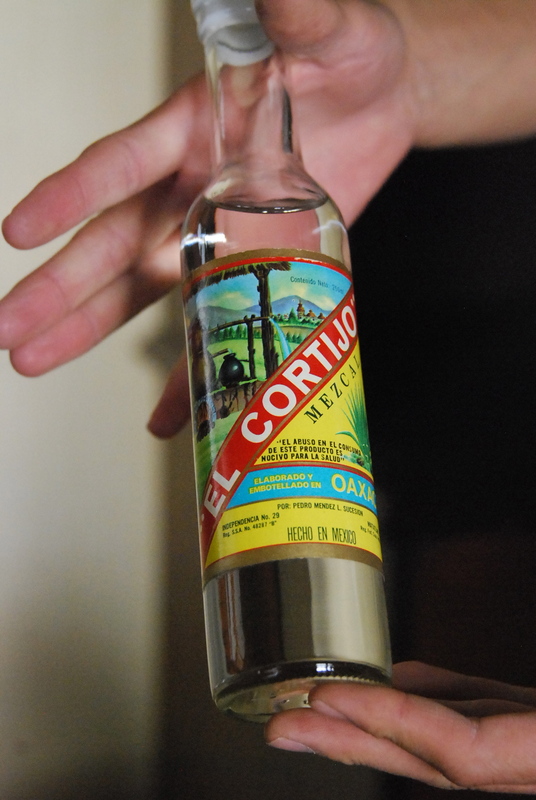 The El Cortijo brand is not sold through retail stores in Oaxaca, although it can be purchased by the cup at Casa Oaxaca and other fine restaurants in the city. Because of its higher price, there is not a big local demand, and the family concentrates on exporting to Puebla, Queretero, Mexico City, France, Spain, Italy and Costa Rica. They are working on getting certification to export to the United States, but this in development. 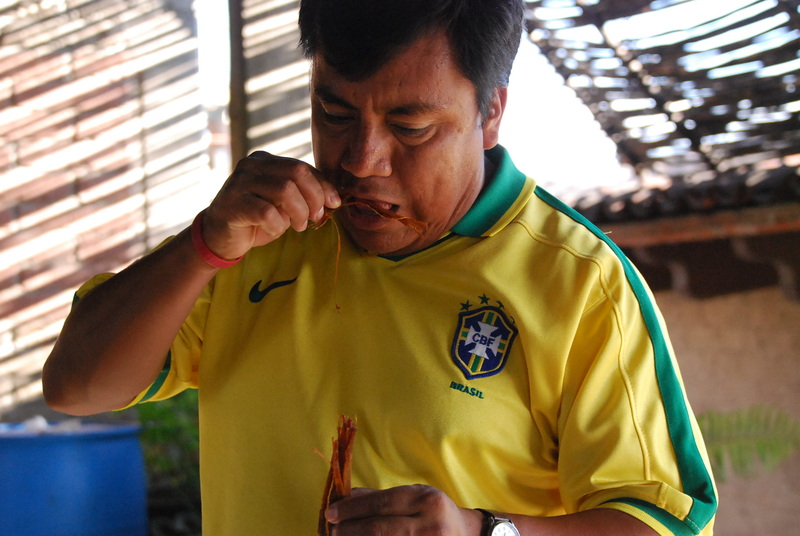 What distinguishes Pechuga de Pollo? 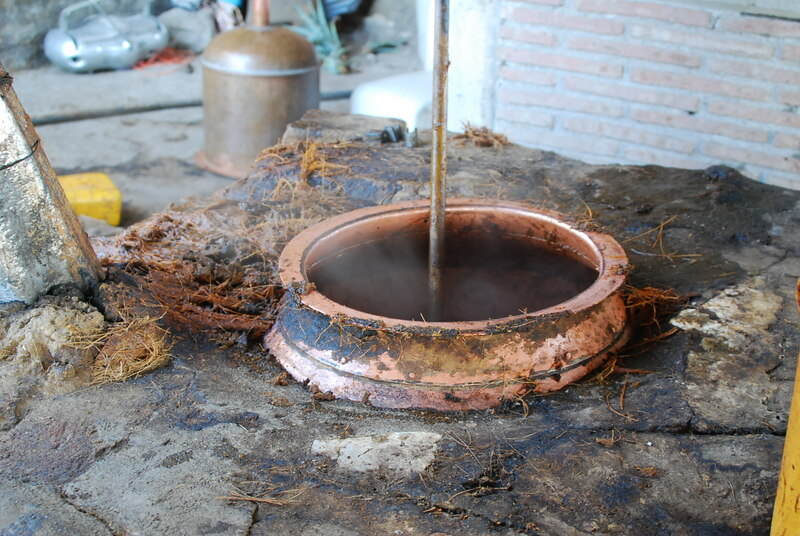 This type of mezcal goes through three distillations. 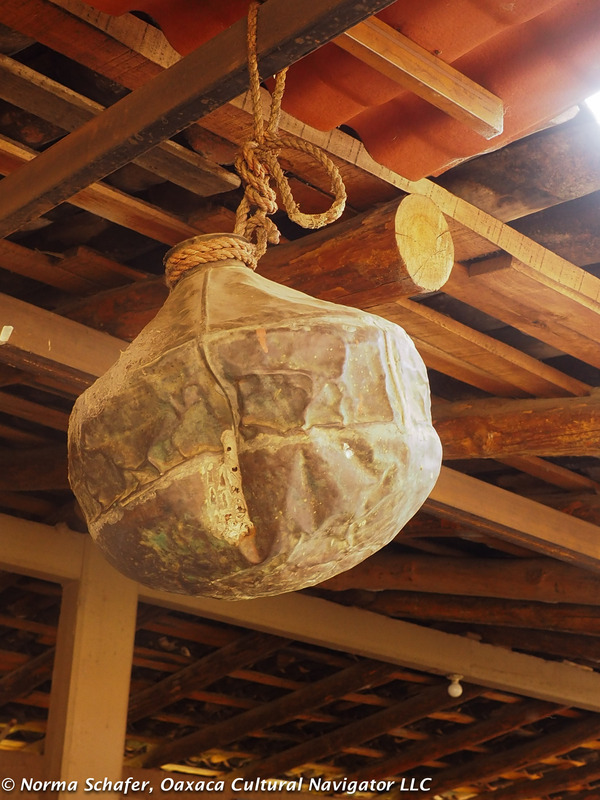 The chicken breast hangs above the distilling pot and the vapor is absorbed by the liquor as the chicken breast cooks. The fruit is part of the distillation process. The resulting liquor has a creamy texture because of the chicken. 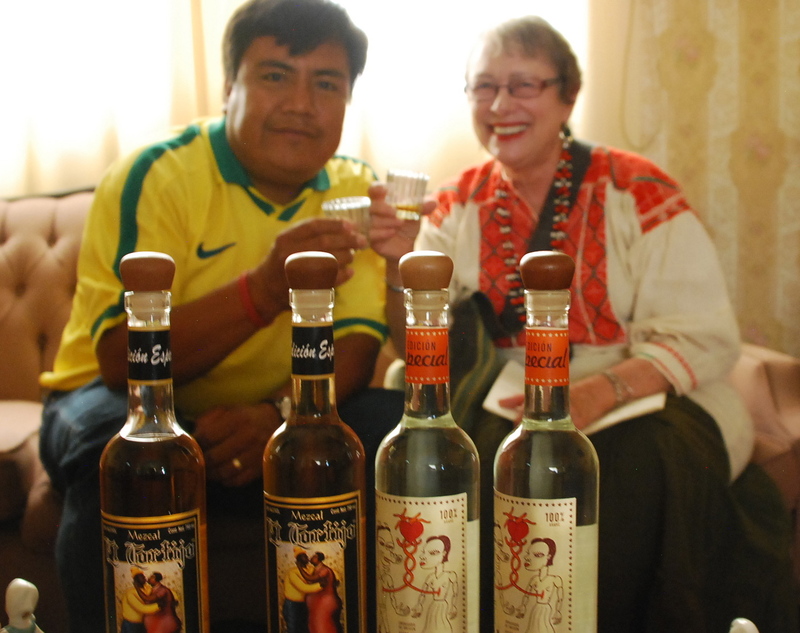 From July 23-30, 2012, El Cortijo will be represented at the Feria de Mezcal in Llano Park in Oaxaca. 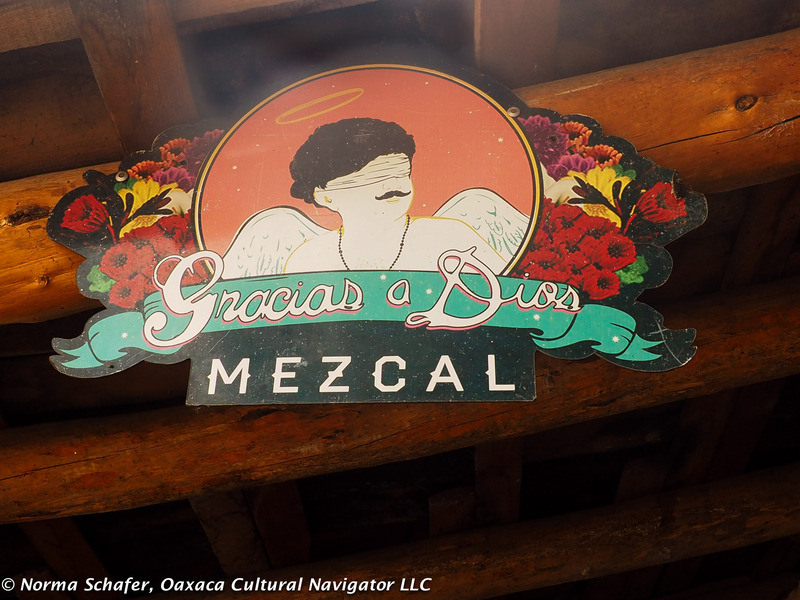 The fair will showcase the mezcal producers of the region and this is a perfect time to do a mezcal tasting and compare for yourself what distinguishes one mezcal from the next. The house of El Cortijo, Independencia #29, Santiago Matatlan, Oaxaca, Tel. 951-516-0091. 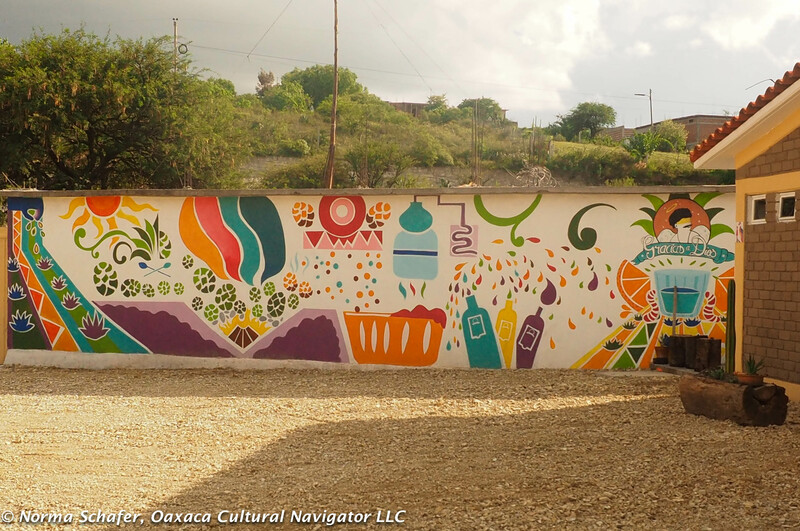 The house numbers in Matatlan are not well-marked, so after a phone call we found the family hacienda and bottling facility located next to the green painted elementary school. 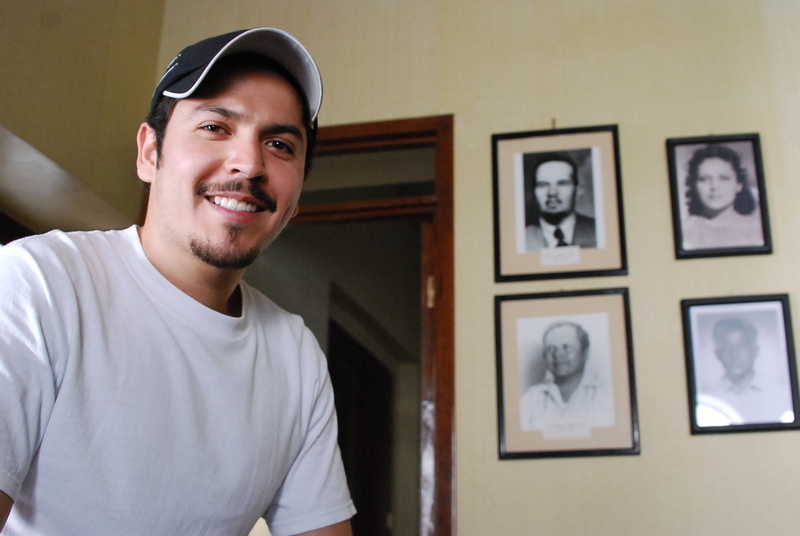 I suggest you call ahead to make an appointment since Juan Carlos and Raul split there time between Oaxaca city and Matatlan. 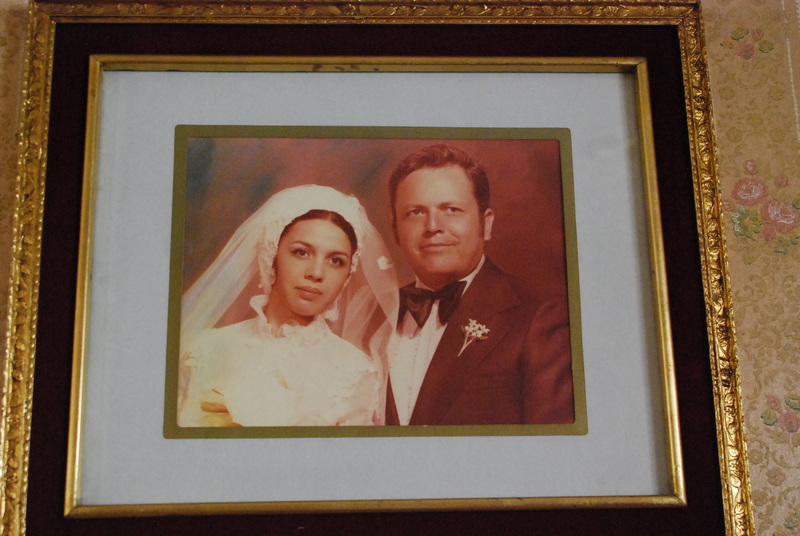 Above, family portraits: (left) Grandmother Julieta Torres, (right) parents of Juan Carlos and Raul.